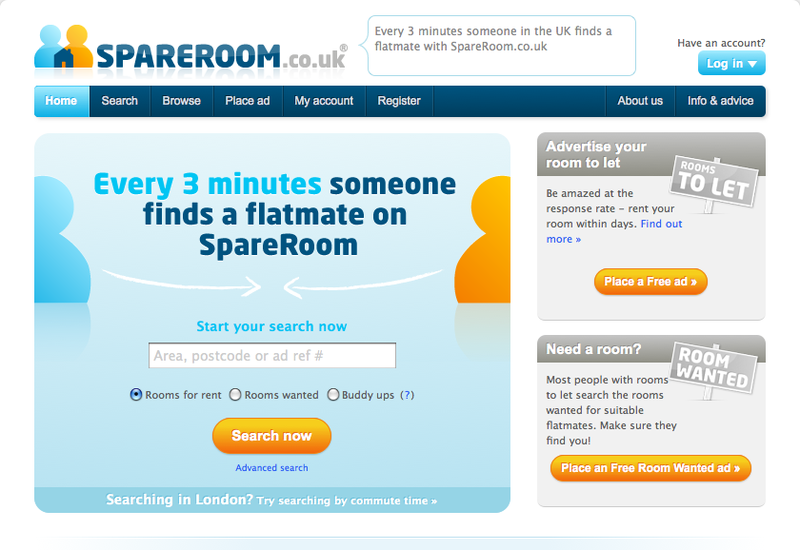 Spareroom.co.uk probably the most popular website used for finding a spare room in London. It has a wide variety of rooms to rent including student accommodation and apartments in London, as well as many other housing solutions. With detailed search options and in depth information on all the properties listed, finding somewhere suitable for you shouldn’t take long. However, to be able to get access to the most up to date listings you will have to pay for a membership. More than 4 million registered users! App only available on App Store, sorry Android and Windows! If you’re looking for a place to stay, spareroom.com can offer an extensive list of flats to rent, rooms to rent, houseshare options and student accommodation throughout the UK and London. With detailed search filters allowing you to pinpoint exactly what you’re looking for, finding a place to stay has been made easy. Go back to the Long Term Accommodation in London category to find more all the best sites offering housing solutions in London.